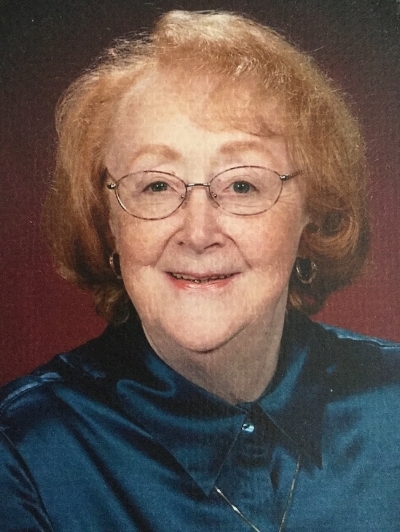 Carol A. Becker, 81, of Tupper Lake passed away peacefully, surrounded by her loving family, on Thursday, March 30. She was born in Troy, NY to Thomas and Isabel Ryan. As a small child, she and her family moved to Tupper Lake. Carol graduated from Holy Ghost Academy as the salutatorian of her class in 1953. During high school, she was employed at the State Movie Theater, where she met the love of her life, Albert. They were married on September 15, 1956 in Tupper Lake. Carol was a stay at home mom to their 5 children. She enjoyed getting together with her girlfriends for knitting club and at the beach while the children took swimming lessons. Carol was later employed at the Sears catalogue store. She was also a member of the Credit Union Advisory Committee for many years. Carol was a proficient seamstress and talented crafter. In her later years, she enjoyed spending time on her deck as well as frequent visits from her children, grandchildren, and great grandchildren. She is survived by her daughters Susan Johnston of Chateaugay and her companion Jules Callaghan; Patti Dattola and her husband Paul; Judy Shumway and her companion Kurt Garrelts; and Cindy Larkin and her husband Tim; grandchildren Jamie (Becker) Coryea, Michael and Ryan Becker, Jessica, Kimberly, and Amanda Johnston, Jason and Allysa Dattola, Shauni and Alexa Shumway, Chelsea and Timmy Larkin; great-grandchildren Alison and Jacob Johnston, Jesse, Adrianna, and Darrah Dattola, Finn Dewyea, Hailey and Collin Becker, Landen and Dylan Becker. She is also survived by her brother Thomas Ryan and his wife Janelle, her sister Kay Mikszan, brother in laws Charles, Bob and his wife Maureen, Gene and his wife Day Day; a sister in law Margaret Benware; and several nieces and nephews. Carol was predeceased by her parents; her husband Albert; their son, Steve; and her sister Mary Ryan; brother in law David Mikszan; sister in laws Dorothy Spinner and Rose Shaheen. Calling hours will be Tuesday, April 4 from 4:00 to 7:00 at the Stuart-Fortune-Keough Funeral Home in Tupper Lake. A funeral mass will be celebrated at 11:00 on Wednesday, April 5 at St Alphonsus Church in Tupper Lake. Burial will be in the spring. In lieu of flowers, please consider memorial donations to the Tupper Lake Volunteer Ambulance and Rescue Squad. Online condolences may be made at www.stuartfortunekeoughfuneralhome.com.